ReNova Plastic Surgery & Medical SPA features the latest and most innovative skin treatments for our patients at our Pittsburgh, PA, practice. We offer a variety of Medical treatments including muscle relaxers, dermal fillers, Chemical Peels, or advance laser treatments. Our onsite medical aesthetician can help achieve your desired look. The process starts with a skin analysis. Then you can enjoy relaxing facial treatments, or finetune your facial features with micro-dermabrasion, peels or our medical skin treatment line. Searching for Medical Spa services near Pittsburgh or Wexford, PA? ReNova Medical Spa offers skin care services: Botox injections, Dermal fillers, Facials, Laser treatments, and much more. A TOP trusted Medi Spa near Pittsburgh, PA. The average price of Medical Spa treatments near Pittsburgh, PA ranges from $50 to $3,000. We offer Cynosure Smartskin+ CO2 laser, an advanced fractional laser system that can rejuvenate the face and eyes quickly and effectively. It can treat the appearance of wrinkles, dark under eyes, pigmentation, age spots, as well as address sun damage to refresh your appearance. This procedure requires no anesthesia and can be completed in about 30 minutes over the course of three to six sessions. Laser treatment can reduce the inflammation and flushing associated with rosacea, giving patients a clearer complexion. We can provide a series of laser hair removal treatments to eliminate dark, unwanted body hair, with results that can last up to a lifetime. Treatment can be completed in one hour, over the course of four to eight sessions. This non-invasive eyelid rejuvenation also uses Cynosure Smartskin+ laser technology to reduce wrinkles and loose skin around the eyes. This procedure generally takes about 20 to 30 minutes to complete. Our medical aesthetician will apply a chemical acid to rejuvenate the skin’s outer layer to address skin concerns, such as sun damage. Treatment can generally be performed in about one hour, repeated every three to four weeks until desired results are achieved. We provide a wide range of Neova® products, designed to target and repair photo-damaged skin. As the largest organ in the body, it is important to take excellent care of your skin. This non-chemical and non-invasive procedure can treat sun damage, clogged pores, uneven pigmentation, age spots, and fine lines and wrinkles. A gentle spray of micro crystals will be applied to the face that removes the skin’s outer layer to reveal healthier-looking skin. Microdermabrasion increases collagen production in the underlying layer to improve the skin’s texture and appearance. Treatment generally takes 30 to 60 minutes. Our Aesthetician can provide a relaxing facial to remove dead skin cells, treat clogged pores and acne, and rejuvenate the skin’s appearance. Customized for specific skin needs. Includes exfoliation, mask, facial massage, head, neck, shoulder massage. Great before a big event. Treats dry, dull looking skin. Mild light based treatment used to increase collagen production, reduce inflammation and redness, treats dark spots and melasma. Also treats broken blood vessels and rosacea. We provide Latisse® eyelash treatment, which can be applied to the base of the eye for patients desiring thicker, stronger, and longer lashes. Results can last two to three months. Semi-permanent tattooing technique that creates hairlike strokes to fill in sparse or thinning brows. The practice aims to give you an effortless full brow ― no need for expensive brow pencils or gels. Appearance is much more natural than traditional cosmetic tattooing. This advanced laser treatment removes fat cells, while contouring and tightening the lower face and neck. It provides a cost-effective and minimally invasive alternative to surgical intervention, such as a facelift and neck lift. Treatment is performed under local anesthetic and is generally completed in two to three hours. 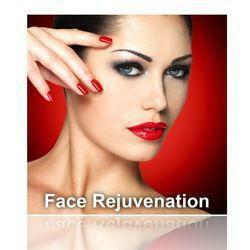 A fresh, rejuvenated face can bring about an amazing boost of confidence. To learn more about our skin treatments, contact us today to schedule your consultation with Dr. Clavijo-Alvarez and our resident medical aesthetician.